Aeris, a technology leader in the Internet of Things (IoT), along with its partner, Hello Tractor, announced here today the launch of ‘Tractors-as-a-Service’ in India and the ASEAN region at a session on ‘India-Africa- ASEAN: Internet of Things (IoT) in Agriculture’, organised in association with The Federation of Indian Chambers of Commerce and Industry (FICCI). Industry leaders and diplomats from Indian, ASEAN and African embassies in New Delhi participated in the event. 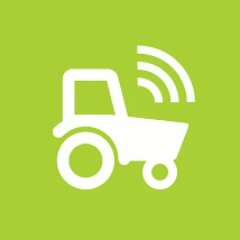 With the Aeris IoT platform, called Aeris Mobility Platform, (also known as AMP), tractor tracking, utilisation time and billing is simplified, based on time in the field and area covered. The partnership enables the pay-as-you-use model for small holding farmers to use tractors with innovative commercial models. Hello Tractor’s innovative use of IoT simplifies complex data to ensure transparency, profitability, and accountability across the ecosystem of farmers, tractor owners, tractor dealers, original equipment manufacturers, banks, and governments. The Tractor Owner App includes tools such as, service request management, tractor and fleet management, operator performance, and activity tracking. Using the technology to their advantage, the farmers are able to plant 40 times faster at one-third the cost. The digital IoT platform is making it easy and profitable for tractor owners to monetise their machines as business assets whilst improving the livelihood of rural farmers.